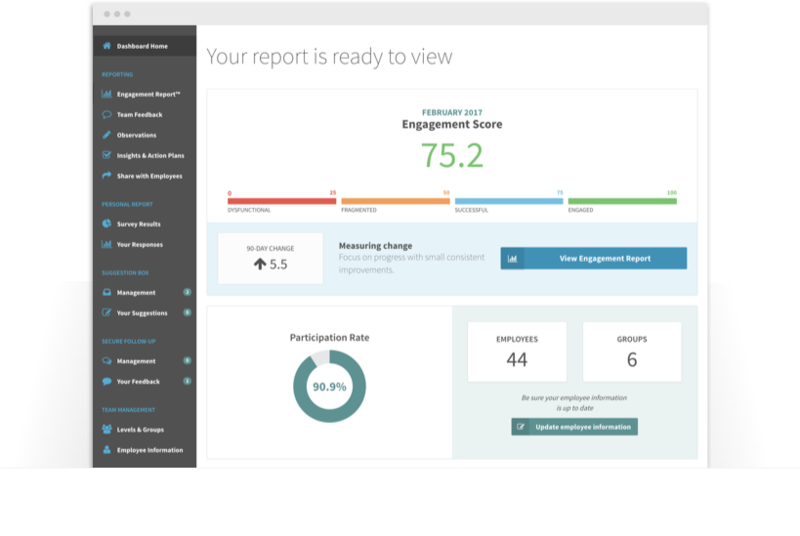 Immediately see where you are within the survey cycle, your current engagement score, and your survey schedule. Access the survey results dashboard in an easy-to-digest format, and toggle views to see multiple data comparisons and breakdowns. 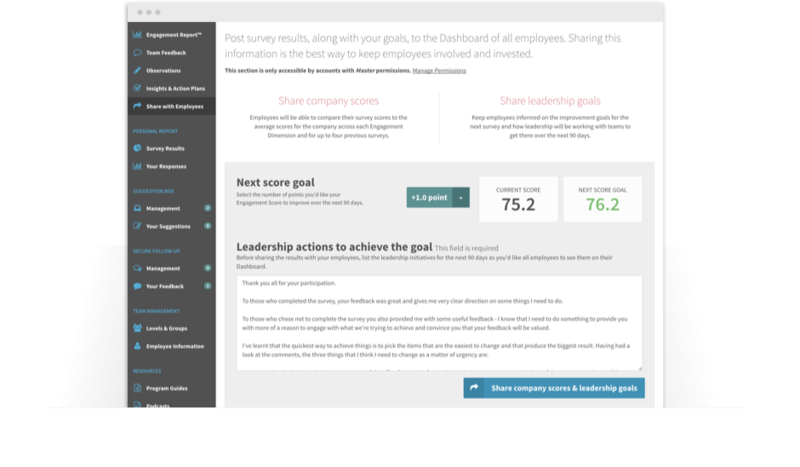 Easily sort and filter all employee-written responses from surveys and from our Suggestion Box feature, and prioritize feedback against how employees scored the organization. Send secure, anonymous replies to employee survey responses and to Suggestion Box posts to gain clarity and dig deeper on the most valuable feedback. 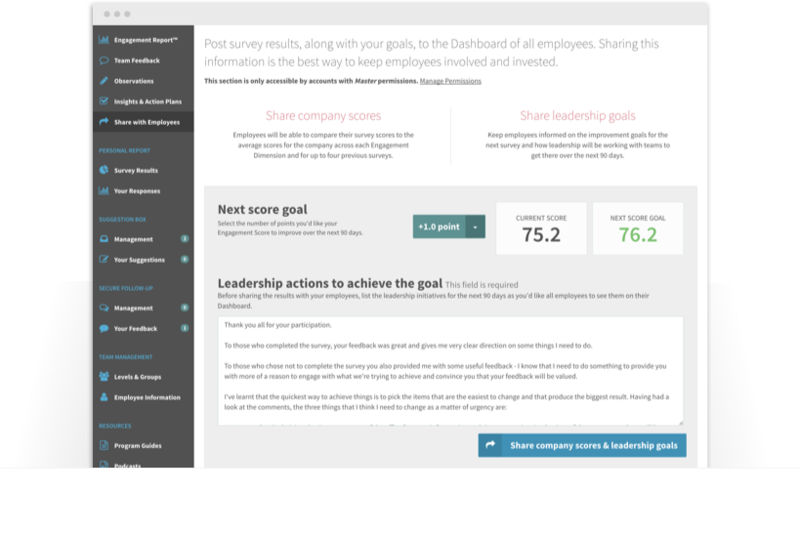 When reports are shared by the organization, every employee sees how they individually scored the company against the total score, and has a reference of all their written responses. Based on survey results, you receive guidance that clearly outlines where you are, where to focus, and what to do next, including helpful resources and guides. Downloadable guide series, podcasts, how-tos, and other reference materials are all easily accessible within the employee engagement dashboard. Easily manage employee information, group segmentation, billing, and customization settings, and set permission levels to grant users access to certain features. 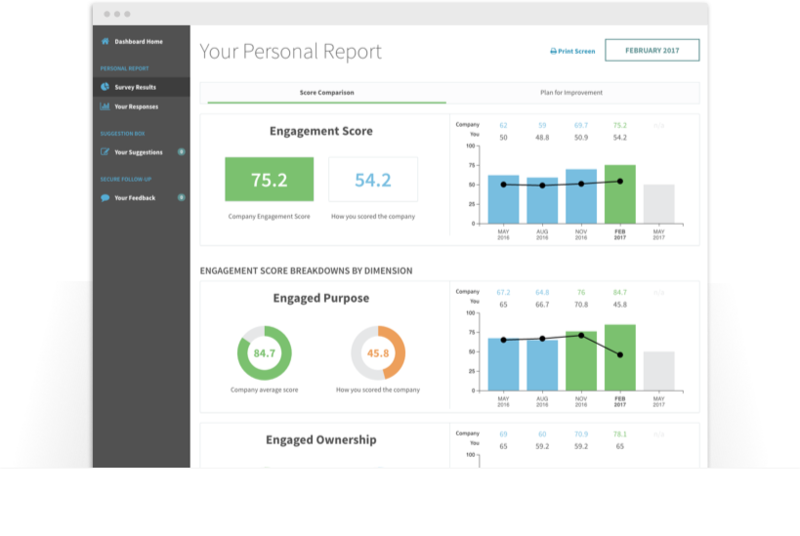 Everyone in the organization gets their own secure login and engagement dashboard experience appropriate to their role. 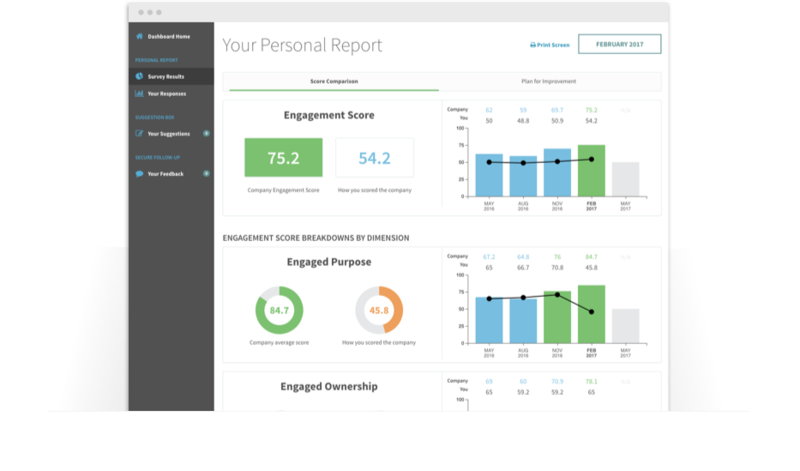 With owner-level permissions, you can view the full Engagement Report™ the minute the survey closes, can securely comment and communicate with key leaders, and can easily share the report, goals and action with the entire organization. All employee information, group segmentation, and billing is also managed from the dashboard, keeping your workflow easy and seamless. 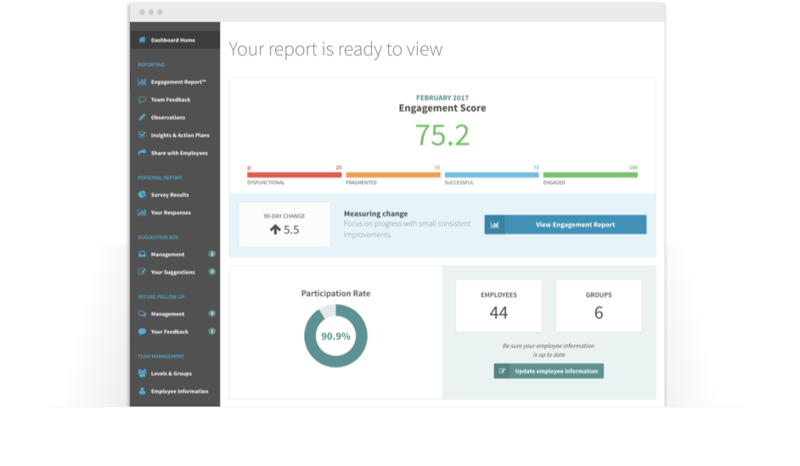 Sign up, get your FREE engagement score, and see how you can change your organization.